Researchers have discovered that a cytokine Prostaglandin D2 might be the stimulus for balding. Researchers did not initially expect to see the association of inflammation and balding, however as more information is amassed as to the profound effects of inflammation on our bodies it is not completely a surprise. Specific PGD2 blockers are being developed. 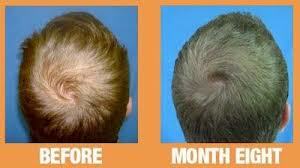 Platelet Rich Plasma (PRP) has been used to treat baldness as well. (PRP) has a significant concentration of growth factors, which are in essence “good” cytokines that prevent inflammatory cytokines from promoting inflammation in our bodies and the associated undesirable side effects. Joint inflammation is also a situation in which harmful cytokines propagate the inflammatory cascade and lead to joint breakdown or degenerative arthritis. Platelet Rich Plasma (PRP) has been used in sports and musculoskeletal medicine for a variety of disorders as well as in the treatment of arthritis. Approaching baldness by blocking PGD2, may yield the same results as blocking PGE2 in arthritis. Most NSAID’s work by inhibiting the enzyme pathway that produces PGE2. This may ease pain but not stop the inflammatory process as it addresses only a small aspect of the inflammatory process, which is why these medications do not halt the progression of arthritis. Platelet Rich Plasma (PRP) has a more complex multifocal treatment spectrum, which may yield better results based on a more comprehensive way of addressing the inflammation. PRP has had many medical uses. Raising the hair on your head may just be one of many.